Chicago Open Air Festival 2017 will take place at Toyota Park in Bridgeview, IL, USA on July 14-16, 2017. Ozzy Osbourne, Slayer and KISS are among the bands that will perform at Chicago Open Air Festival 2017. Bloodstock Open Air 2016 will take place in in Catton Park, Derbyshire, UK on August 11-14, 2016. 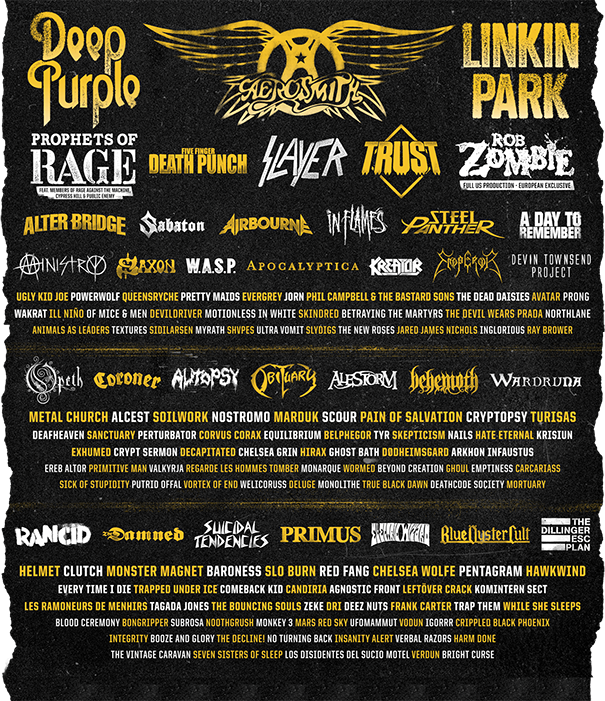 Twisted Sister, Mastodon and Anthrax are among the bands that will perform at the Bloodstock Open Air 2016 festival. Nova Rock 2016 will take place at Pannonia Fields in Nickelsdorf, Austria on June 9-12, 2016. Red Hot Chili Peppers, Amon Amarth and Children Of Bodom are among the bands that will perform at the Nova Rock 2016 festival.